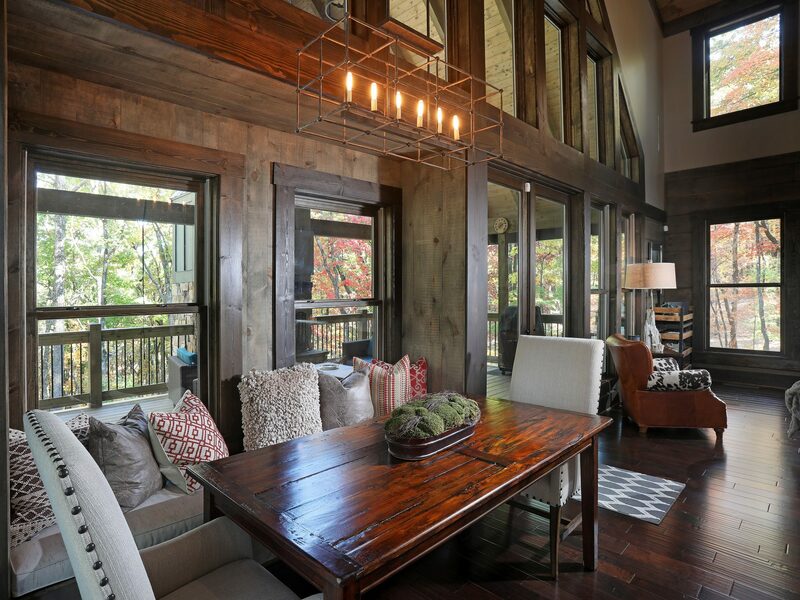 Falling Waters Cabin exemplifies modern rustic at its best. 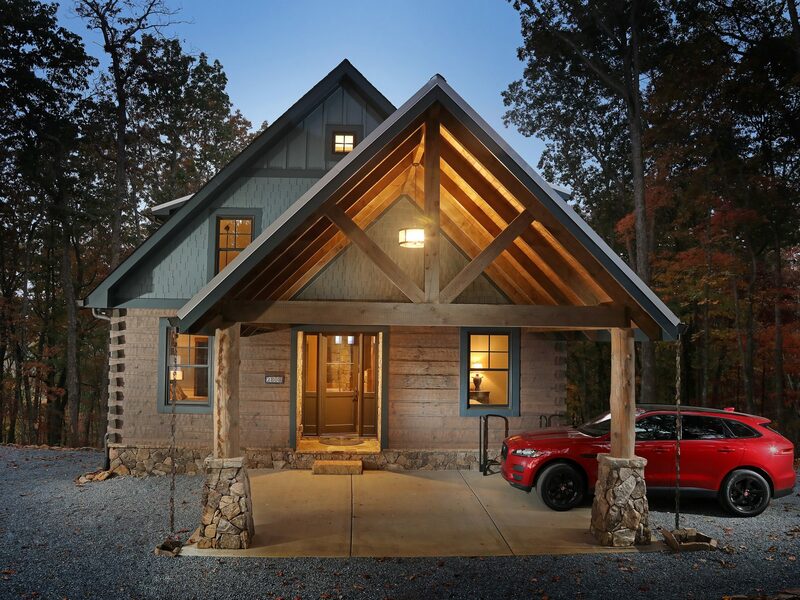 This cabin is a blend of our square log with dovetail corners and synthetic siding and trim to provide a mountain retreat home that is as good looking as it is easy to maintain. 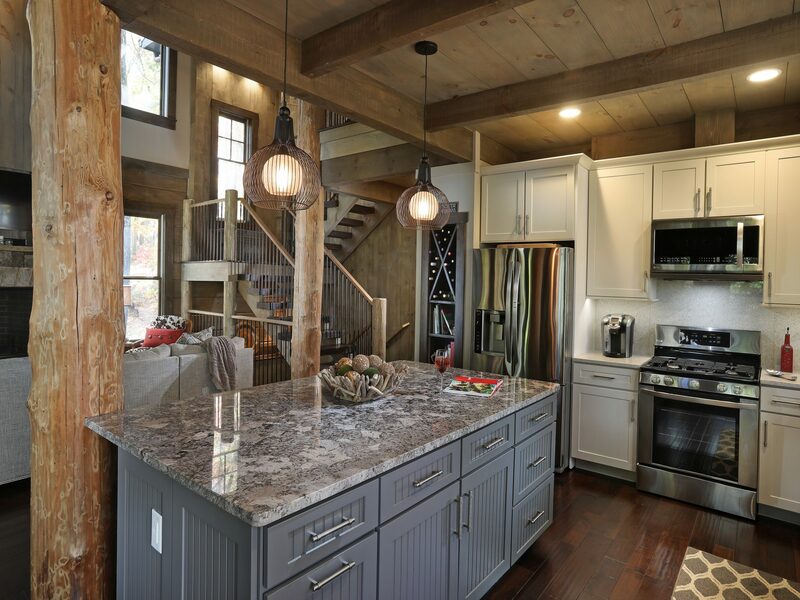 The mix of architectural shingles and galvanized metal on the roof provide texture and contrast. 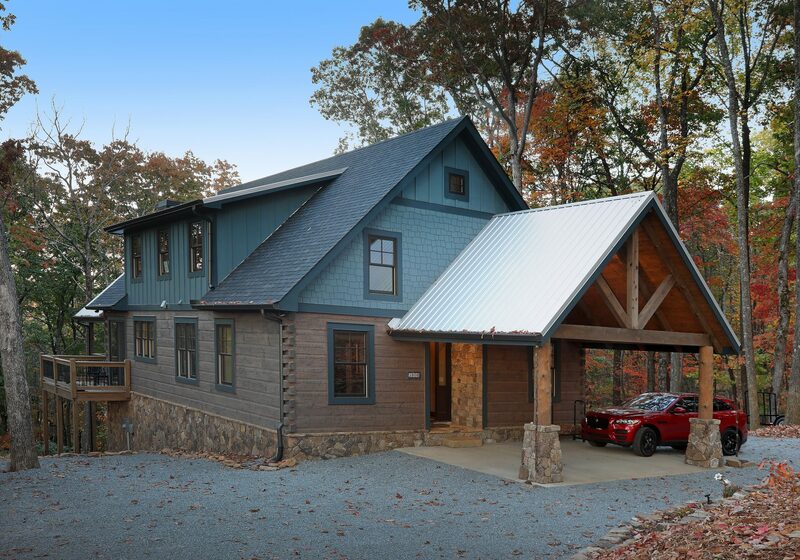 The blue accents compliment the cool and warm gray colors of this cabin which mimic the North Georgia Mountains. 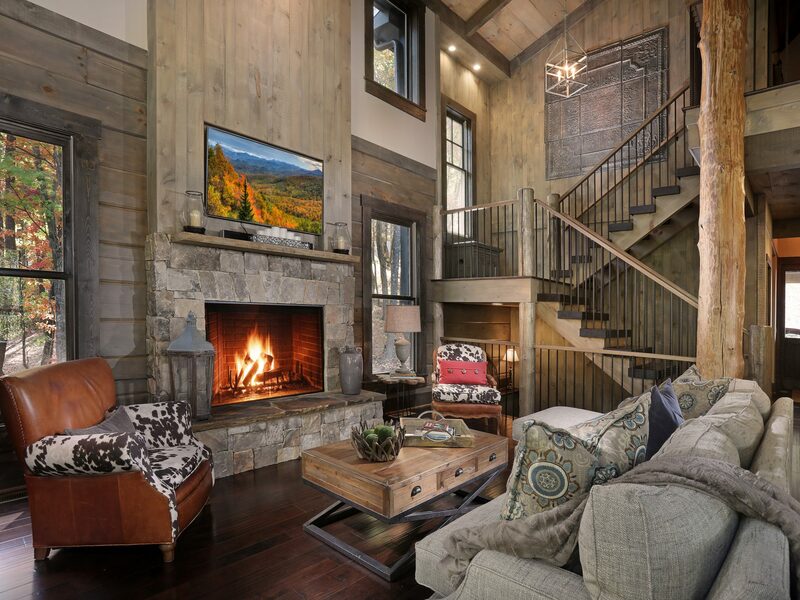 Upon entering your eye is drawn to the living porch fireplace which is on the opposite end of the cabin. This long sight line is enhanced by the architectural detail of the paneled walls, art alcove and built-in bench and shelves. 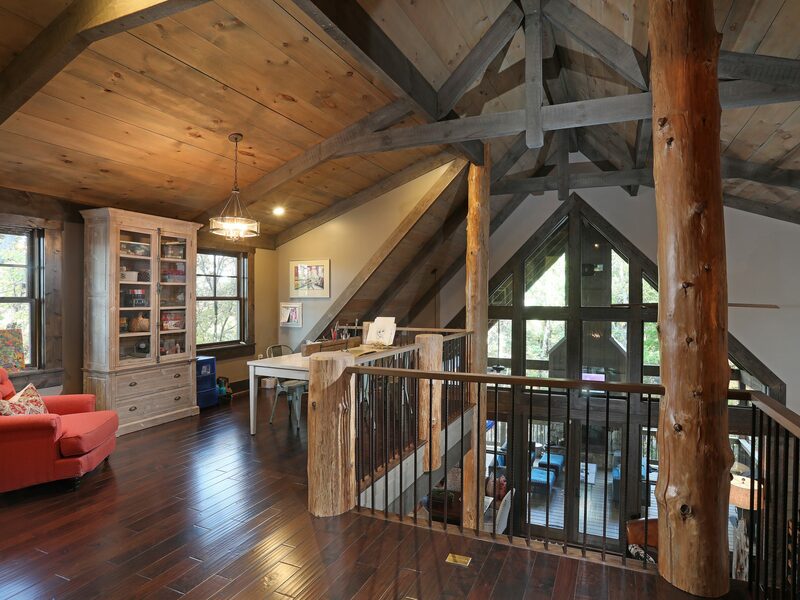 The Hemlock tree trunks at 28 feet tall support the timber frame details of the ceiling as well as the open loft which functions as a studio space for art projects. 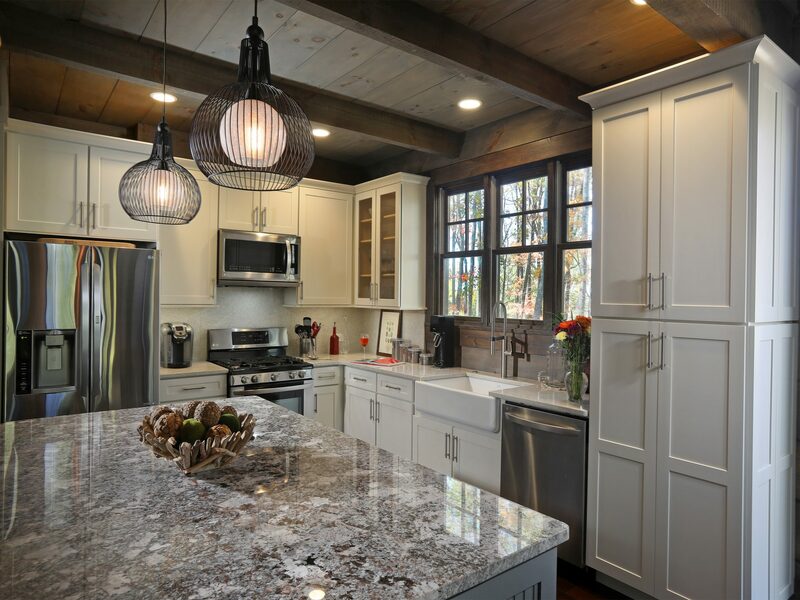 The open plan of the great room, kitchen and dining nook keeps everyone in on the conversation. 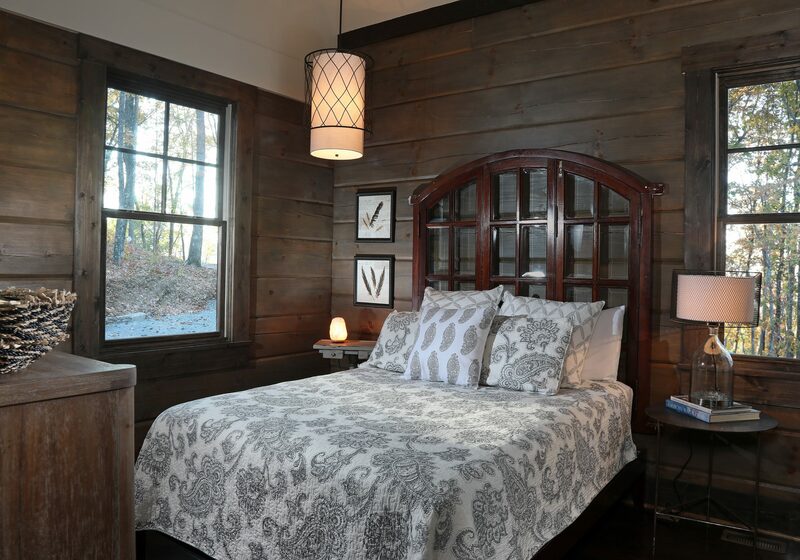 The main level also features the master bedroom and bath and has an additional bedroom and bath for guests that may need to be accommodated on the first floor as well. 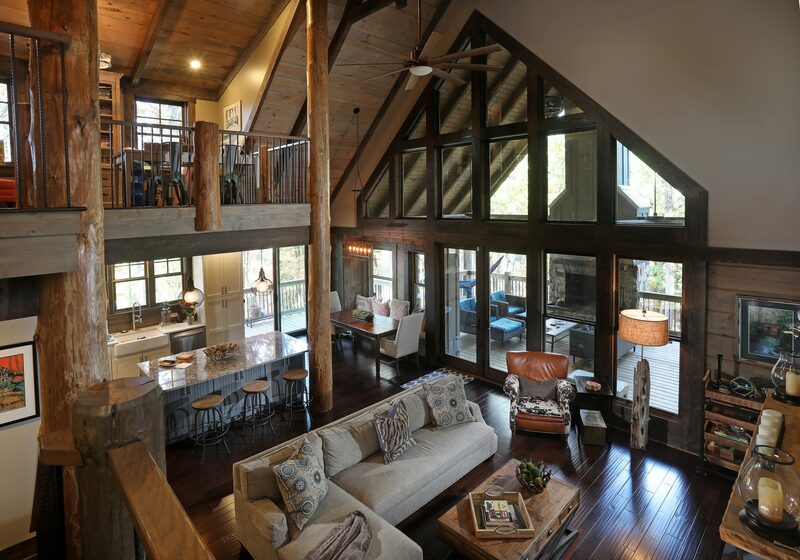 The second level loft overlooks the entrance hall and the great room. 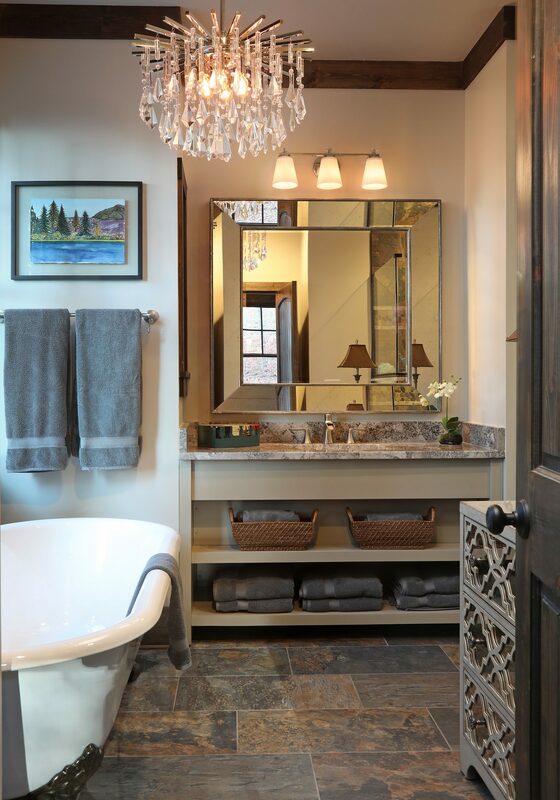 Additionally, a third bedroom and bath provides more room for family and friends. 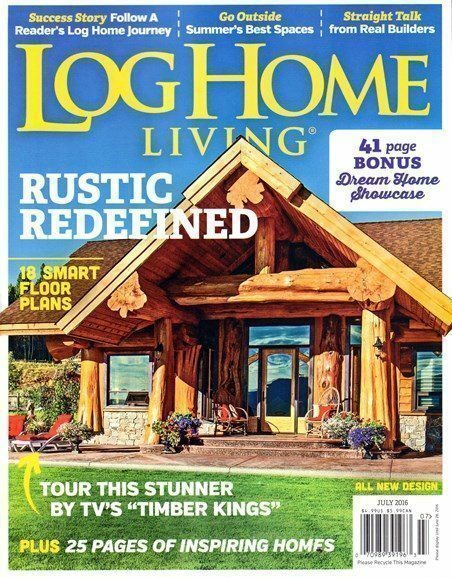 The outdoor living space is just as relaxing as the inside with a fireplace and built in television. This has become the family favorite place to hang even in cold weather. Just light the fire and snuggle under blankets. 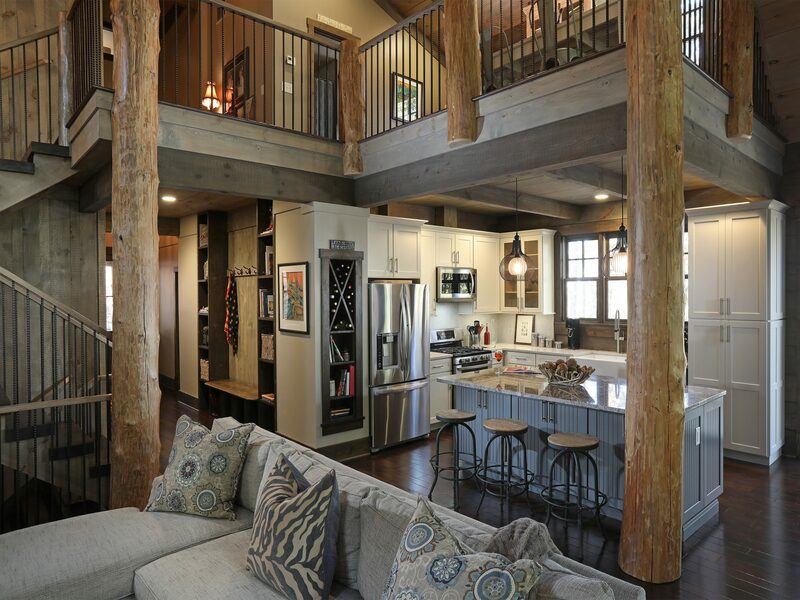 At just over 2100 square feet this cabin lives larger than it is.